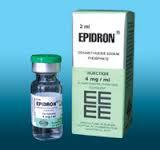 EPIDRON@ injection is a potent, highly effective and versatile corticosteroid preparation which, being a true solution, may be administered intravenously as well as intramuscularly in the treatment of acute disorders responsive to corticosteroid therapy. 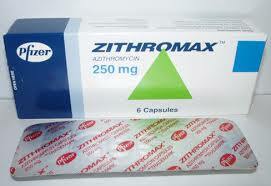 It may also be used as local therapy by intra-articular, intrabursal and soft-tissue injection. The appropriate dosage should be recommended by your physician intravenous and intramuscular injection. The usual initial dose is 0.5 mg to 20 mg depending on the severity of the condition. The initial dose should be maintained or adjusted until adequate response is reached. Dosage requirements are variable and must be individualized on the basis of the disease under treatment and the response of the patient. After initial improvement, single doses of 0.5 cc to 1 cc repeated as necessary may be sufficient. The total daily dosage usually need not exceed 20 cc (80 mg) even in severe conditions. Hypersensitivity to any component of this drug. should not nurse. You should inform your physician if you are taking any other medications. For additional precautions please consult your physician. Should side effects or any unusual feeling or symptom occur, a physician should be consulted immediately. -Medicament is a product which affects your health, and its consumption contrary to instructions is dangerous for you. -Folfow strictly the doctor’s prescription, the method of use, and the instructions of the pharmacist who sold the medicament. -The doctor and the pharmacist are experts in medicine, its benefits and risks. -Do not by yourself interrupt the period of treatment prescribed. -Do not repeat the same prescription without consulting your doctor. -keep medicines out of the reach of children.